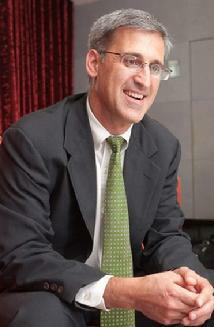 Tony co-founded KensaGroup and has served as the Managing Director since inception. His strong belief that disruptive startup companies can only flourish if they are operationally excellent and exist in an ecosystem that understands the unique challenges they face is the cornerstone upon which KensaGroup has been built. A number of innovative concepts, such as 'entrepreventure' and the entrepreneurial sabbatical leave, have been brought forward during Tony's time at KensaGroup as approaches that enhance the likelihood of success of technology startups. Tony's commitment to the earliest stage of business creation has led to a successful serial startup up business. Tony has launched twelve university-based start-ups since KensaGroup's inception. Previously, he served as the CEO of a mid-market manufacturing company as well as Vice President of a multi-billion dollar international retailer. Currently, Tony sits on the boards of NovaSterilis, Inc., MedHesives, Inc., Prendismo, LLC, Novomer Inc., and BeetNPath LLC. 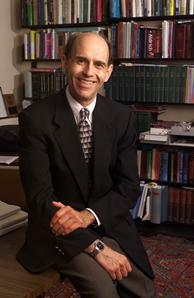 Tony has served as an advisor to New York State's NextGen program, as a board member to the Center for Life Science Enterprise (New York State Office of Science, Technology and Academic Research Center for Advanced Technology at Cornell) and served six years on the Board of Directors of Cayuga Medical Center. Tony earned his B.S. degree from Cornell University. Dr. Ganem, Chief Scientific Officer and co-founder of KensaGroup, is the Franz and Elisabeth Roessler Professor of Chemistry and the J. Thomas Clark Professor of Entrepreneurship at Cornell University. Dr. Ganem received his B.A. degree in chemistry from Harvard College and his Ph.D in organic chemistry from Columbia University. After completing postdoctoral work at Stanford, he joined the Cornell faculty in 1974, serving as department chairman from 1993 to 1997 and again in 2001. A synthetic organic chemist by training, Dr. Ganem has broad scientific research interests ranging from organic and analytical chemistry to biochemistry and molecular medicine, including medicinal chemistry, structure-based drug design, protein engineering, and biotechnology. His current research focuses on new chemical processes known as multicomponent reactions, which have important applications to drug discovery and development. Dr. Ganem has authored over 240 scientific papers, and holds five patents. He is the recipient of numerous awards and honors, including the 1999 Chemical Manufacturers Association National Catalyst Award and the 2007 American Chemical Society Award for Creative Invention. As a scientist-entrepreneur, Dr. Ganem has founded or helped start several biopharmaceutical and technology companies in the past fifteen years, including LeukoSite, ArQule, Natural Pharmaceuticals, Inc., Taktix, KensaGroup, Gene Network Sciences, NovaSterilis, Medhesives, North Sea Resins, and Novomer. Eric returned to KensaGroup in July 2010 as a Managing Director. From 2007 to 2010, Eric was Vice President of Sales and Marketing for Kionix, Inc., a semiconductor company developing and supplying inertial sensors to the consumer, industrial and automotive electronics markets. Kionix's market leadership resulted in it being acquired by Rohm Corp, Ltd., in Q4 2009. From 2002-2006, Eric was a KensaGroup Entrepreneur in Residence and served as President and Chief Executive Officer of MedHesives, a KensaGroup portfolio company, where he helped develop and expand the firm's novel photopolymerizable resins used in coatings and adhesives technologies. From 1998 to 2002, he was Vice President of Sales for Atmel Corporation’s Wireless and Microcontrollers Division. Prior to Atmel, Eric held sales management, business development, finance and engineering positions with TEMIC Semiconductor and IBM Corp.
Eric earned his BSEE from Manhattan College.